One of the goals of your navigation is to show people whe are in the site. That provides context to help them understand content, and also helps them to build a mental map of how big your site is, and which sections they have already explored. There are lots of different techniques you can use to help d understand their place in your website. The more hints you can tab give visitors, the easier they will understand your site Structure. Every page of the site should have a title that appears immediately above its content. The title should uniquely identify that page, and help people to understand its purpose. On a news article, the title might be the story headline. Reassure visitors that the navigation is working well by making your page title similar to the text on any links to that page. If people click a link and arrive at a page with an unexpected title, it can be confusing. For your text links, you can have the color of visited links automatically changed by the browser, so that people can understand where they have already been. Show people which section of the site they are in by changing its appearance on the navbar. Remember that people might not have clicked a link on the navbar to get there. They might have used a link in the middle of your page content, or a link on another site altogether. Cartoonist Scott McCloud www.scottmccloudon uses lines from the icon to show the current section. Breadcrumb trails reveal the primary path through the website, by showing how the current page relates to other pages above it in the hierarchy. They don’t necessarily show how somebody got to the page they are on: they just show the main route there. For many sites, the breadcrumb trail can be a good way to show the site structure, and enable easy navigation within a section. It only works when each page can only sit within a single category, and it isn’t intuitive enough to be used on its own. Consider breadcrumb trails to be a bonus feature to improve usability, rather than your primary navigation. 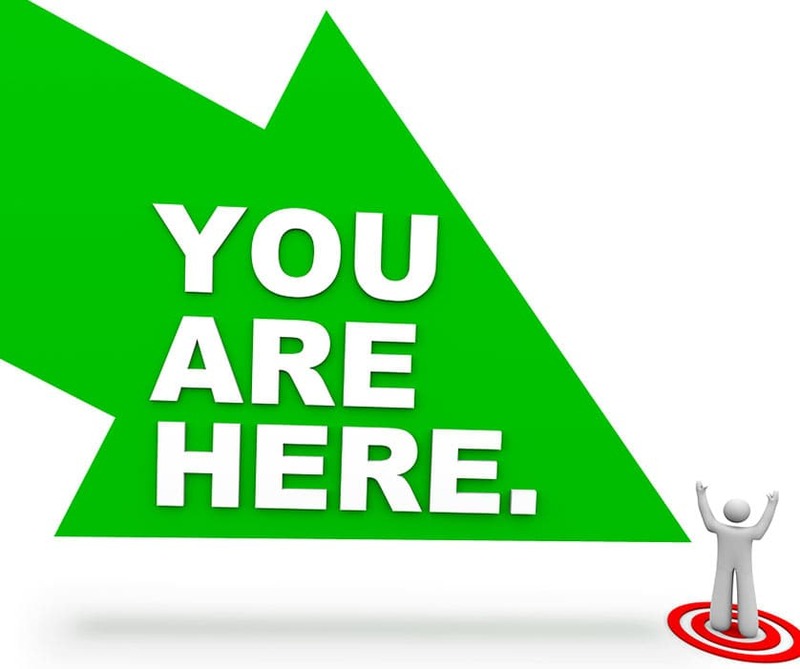 To make it easy to understand, write “You are here” before the trail, and place it at the top of the web page. There is one place on the site where it’s often considered acceptable to remove navigation altogether. That’s when people are filling out a form to complete a process, such as registration or a purchase. The site owners don’t want people to be distracted by other content on the site, so they focus their attention by removing all other options. Of course, this can be annoying for the customer if they decide they want to go and add something else to the shopping cart. But it can also be helpful by making the whole process easier to navigate and understand. Create a map to show people where they are in the process, and how many steps there are to come. Amazon’s appears at the top Of the screen during the checkout process, with the current stage shown in bold, and future stages shown in gray.